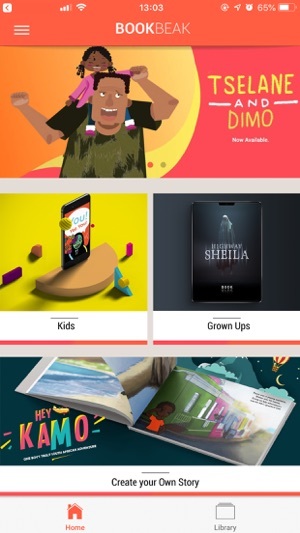 BookBeak is the world’s first short story app to aggregate short stories from talented African storytellers and put them directly in the hands of our growing subscriber base that’s looking for more representative stories to read their children and for themselves. 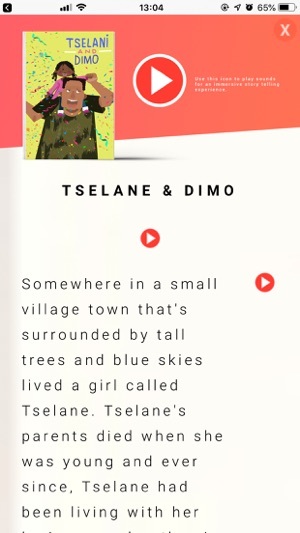 For the first time ever, kids and adults all around the world can explore new and old African stories from the palm of their hands. BookBeak makes use of a unique contributor content model that empowers published, unpublished and self-published writes while giving them a source of revenue. As a parent, you’re always looking for new stories to read to your kids to keep them entertained and also for bedtime. With BookBeak, your child gets to enjoy a large library of African short stories every day and night. Ever thought how cool it would be if there was a story about your little one? 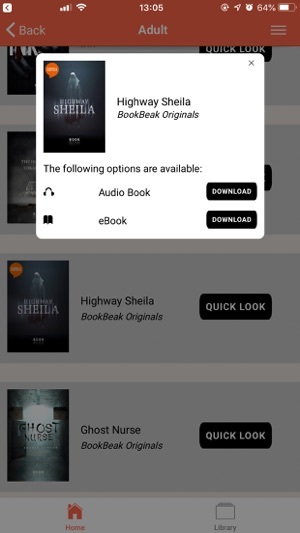 With BookBeak you can create one in minutes. 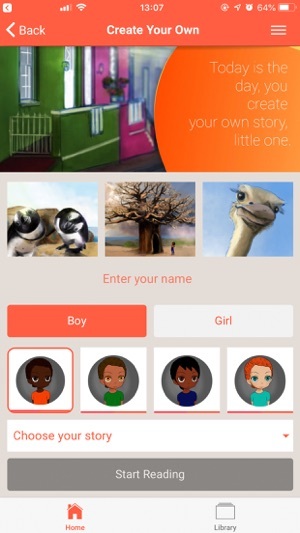 Choose from one of our many stories and simply type in your child’s name to replace the main character’s name with your little one’s name and make them the hero’s of their own story. Sometimes you’re just looking for a good weekend read and not an entire novel. BookBeak holds an impressive and ever-growing library of African short stories from a range of publish and unpublished authors. We all know that our little ones love visual and audio stimulation. 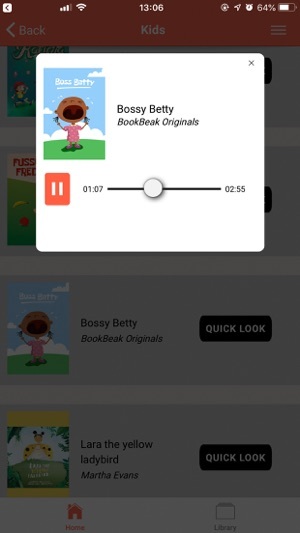 That’s why our BookBeak inventory also includes a range of audio shorts designed to keep them entertained and engaged with uniquely African stories. The revenue generated from our subscriptions is shared with the content contributors, helping them make a living from their unique storytelling talents. 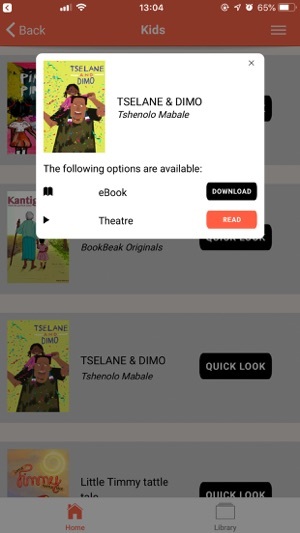 The BookBeak subscription is only R59.99 per month and gives users access to all content on the platform with monthly additions. This fee gives us the opportunity to give back and create a revenue share model with our up and coming, African contributors. 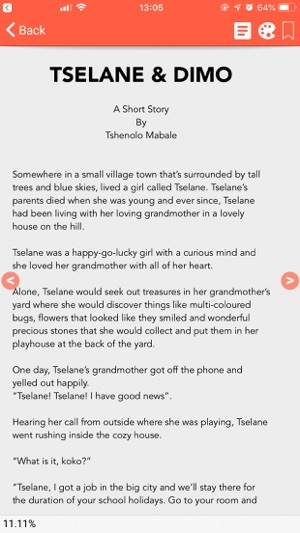 The app also hosts free content powered by BookDash which is in the form of picture books.